In addition to speaking about Flutter and embarrassing myself in front of audiences on two continents, I recently decided to do a deep dive. All of my friends do deep dives on cool things like Animation, State Management, Gestures or Testing. Me? I decided to do a deep dive on an error message. But this is no ordinary error message. 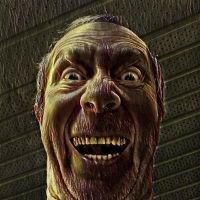 If InheritedWidget is Flutter’s Monad (and it is), then “RenderFlex children have non-zero flex but incoming height constraints are unbounded” is our Boogeyman (Uomo Nero, Бугимен, Hombre Boogeyman, بعبع , Mumus, Croque-mitaine, Baba Yaga, John Wick). And more you’ll be able to recognize after you‘ve read this deep dive. Something is trying to be infinitely large, nothing is there to stop it, and you need to fix that. Once you understand the way things work under the hood, it gets easier and easier to know exactly what to do when the Boogeyman crawls out from under your bed. You send John Wick, of course. First I want to offer a quick version of this for those who don’t want to dive into deep water. I call it, “The Baby Pool Version”. 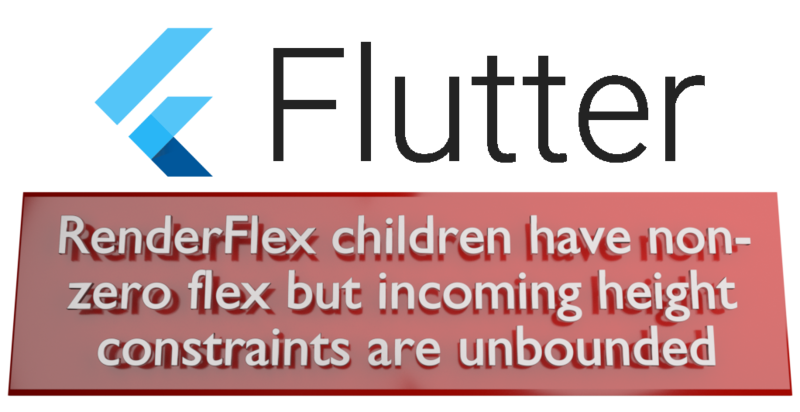 What’s happening here is a Row/Column is not being passed size constraints by its parent (“Incoming Constraints are Unbounded”) but its child is trying to “flex” to be as big as possible (“Render Flex Children Have Non-Zero Flex”). The reason this is a problem is that either the parent or child has to tell the Row/Column what size to be, but that’s not happening. The child is saying, “Go to infinity”, and the parent is saying, “Do whatever you want”. The quick, baby pool fix is to change the mainAxisSize of theRow/Column to MainAxisSize.min, then wrap the child that wants to be infinitely large in an Expanded. Your Row/Column has a child that is trying to be infinite height/width and there aren’t any constraints, which is only a slightly different situation than the one above. One way this can happen is if you set the height/width to double.infinity on something that is inside of a Row/Column. That’s not a bad thing, we do it all the time. However, if your child is in a Row or Column that isn’t limiting the child’s size, now we have problems. Possibly the worst code I’ve ever written, but it makes the point. If the problem is in the mainAxis you can fix it by putting the offending child inside of an Expanded. If it’s along the crossAxis and you nested Rows and Columns inside of each other, then you need to put the nestedRow/Column into an Expanded instead. Giving the Container a specific height will fix it. Giving the SizedBox a specific height will fix it. Wrapping the Container with an Expanded will not fix it. That actually causes a bottom overflow. The last error, the one about ParentDataWidget? It means an Expanded can only be used inside of a Row or Column but you tried to use it somewhere else. So, that was the baby pool. Wasn’t that easy? Ready for more? Are you feeling adventurous… or maybe just masochistic? Then let’s go a little further down the rabbit hole with Part 2! Thanks to Paulina Szklarska, Nash, Nawal Alhamwi, Tomek Polański, and Muhammed Salih Guler.